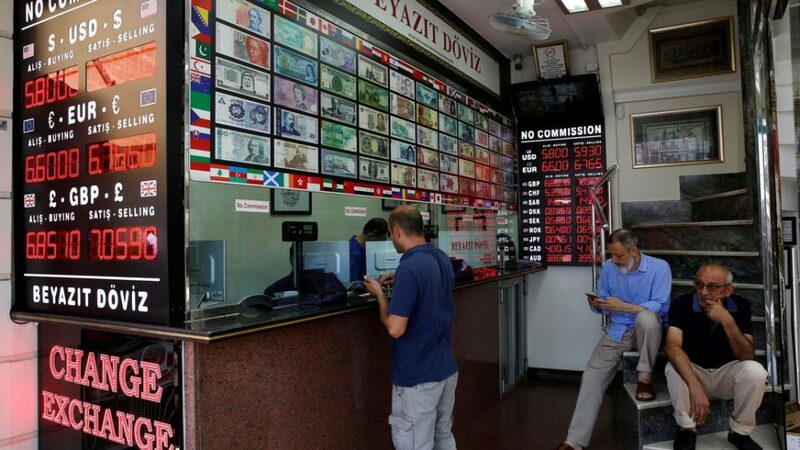 Turkey’s interior ministry on Monday said that it was taking necessary legal measures on social media accounts regarding the dollar exchange rate that create a negative perception of the economy, Reuters reported. The statement said 346 social media accounts that posted comments about the weakening of the lira “in a provocative way” have been identified since Aug. 7 and legal action has been launched. In a similar move on Monday, The Istanbul Chief Public Prosecutor’s Office stated that it has launched investigation about people who “threat economic security” by sharing “manipulative” information about plunge of Turkish lira and related stories which serves to “economic attacks” against Turkey on social media. “An investigation has been launched according to Turkish Penal Law, Banking Law, Capital Markets Board regulations and related laws into people who displayed actions that threaten economic security through manipulative stories on media and operational social media accounts as part of the economic attacks that target the Republic of Turkey, its social peace, unity and economic security by the powers behind the  coup attempt,” said in the statement, HDN reported. The Turkish lira which on Friday tumbled as much as 18 percent at one point, its biggest daily drop since 2001, plunged to a new record low in on Monday’s early Asia Pacific trade, as total value loss passes 45 percent this year. Turkish President Recep Tayyip Erdoğan on Sunday warned Turkish businessmen not to buy foreign currency. “Do not rush to banks to buy foreign currency. Do not think this way: It [the Turkish economy] is over, it is bankrupted so we should take steps to protect ourselves. If you resort to this method, you will make a mistake. It is not only our duty to keep this nation alive, but also the duty of merchants and industrialists. Otherwise, I will have to put plans B and C into practice. Better that everybody understands it,” Erdoğan said, speaking to businessmen in Trabzon province. Erdoğan did not elaborate on the details of plans B and C.
The Turkish government has seized over eight holdings and 1,020 companies since a failed coup attempt on July 15, 2016. This article originally appeared in Turkish Minute on Aug 13.